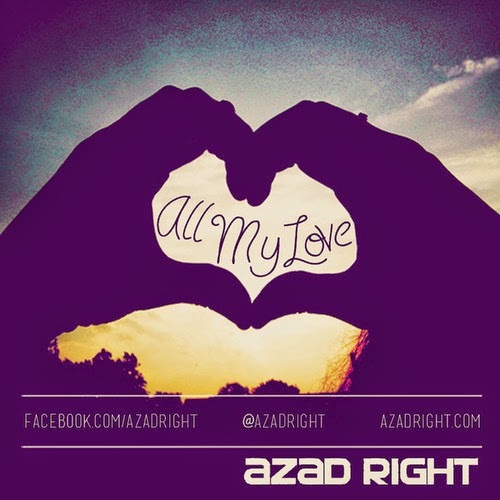 Azad Right – "All My Love"
There have been quite a few rappers making their own path in hip hop, without a major label support. One of them is Azad Right who is next up to stardom. He released a new track almost a month ago (Yup, I fell behind on his tunes) called "All My Love" that has a nice soul vocal sample that compliments Azad's flow about his life. The Cali emcee sounds more and more at ease and comfortable with his delivery with each new track. It's exciting to see how far he has come. Stream the new song produced by ChromeBully below.